Panera Bread continues to expand into the Northwest. The chain recently opened for business on Indiana Ave. in Spokane Valley and plans are coming along for a location in North Spokane on N. Division in front of Lowe's. But now, the chain of fast casual restaurants is planning to expand into Idaho with seven locations in the works statewide. One of those locations has been confirmed to be coming to Hayden. 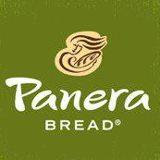 Other Idaho Panera Bread locations are planned for Boise, Nampa ( now open ), Twin Falls and Idaho Falls. This the first time the chain has opened locations in Idaho and all locations will be corporate operated stores as opposed to some franchise locations in other parts of the country. The Hayden Panera Bread location should open around the middle of 2016. The company cannot release it's location however yet. This is because the plan to remove and existing building and rebuilt as their restaurant. I will update this post when the location information comes in. The Panera Bread location in Hayden will likely be much like other Panera Bread locations. Typically their restaurant are about 5,000 square feet and employ 65, give or take.